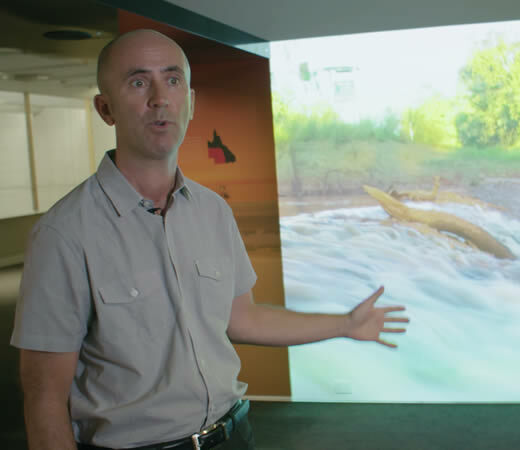 Although Queensland Museum trialled a number of different projectors, Hitachi’s LPWU9750 WUXGA large venue laser projector and USL901 ultra short throw lens provided the ideal solution. 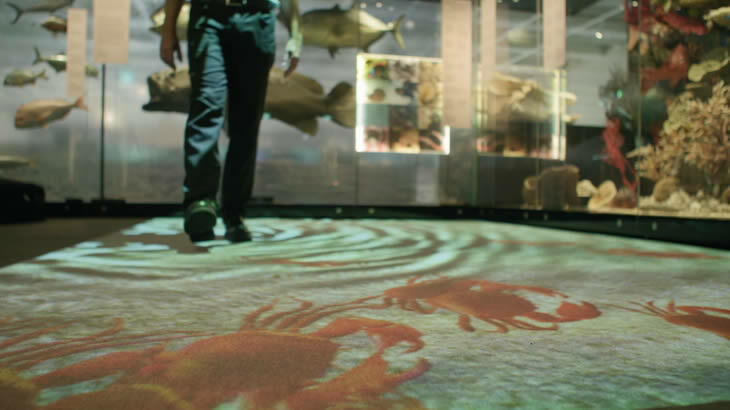 The floor display features six Hitachi projectors and lenses, each using Hitachi’s edge-blending technology to create a seamless and dynamic image that runs from one end of the exhibition to the other. Robert O’Brien, Information Technology, AV and Multimedia Manager at Queensland Museum Network believes the visual display is by far the most popular section of the gallery. This is the interactive part where you’ll find all the kids congregating because we’ve got some crabs on the floor with a water effect, and we’ve got a Hitachi projector and it’s mirroring onto the floor. The program is set up so that the kids can come around and ripple the water and touch the crabs, and the crabs will move away. “We had to adjust the projection to meet the requirements of the size but not lose the quality of the projection. This is where Hitachi excelled,” added O’Brien. Hitachi helped to bring the Wild State gallery to life by providing six projection solutions capable of creating a seamless image and operating for approximately 20,000 hours maintenance-free. “We had a number of projectors from different vendors that we trialled and none of them would give us the quality and the output that we needed with the low maintenance. It was the ideal product for us,” said O’Brien. Without lamps or air filters to replace, the Hitachi LPWU9750 WUXGA large venue laser projector was a cost-effective and convenient solution, and the projector’s motorised zoom, focus and lens control allowed for a greater range of installation possibilities. 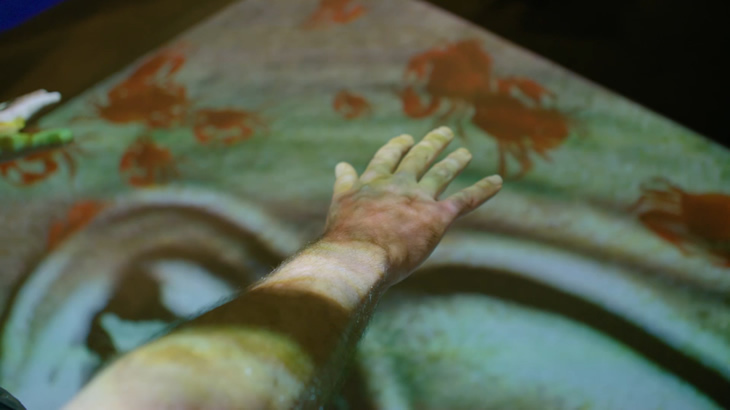 On the next page, we look at how Hitachi’s advanced projection technology plays a critical role in bringing the interactive content to life by delivering crystal clear image reproduction within the confines of the gallery.